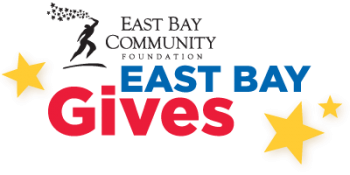 We are asking for your donation during the East Bay Gives 24-hour fundraising event on Tuesday, May 3rd. Our goal is to raise $10,000 for priority programs such as: Therapeutic Writing, Princeton Review SAT courses and Clinical Talking Circles to increase college entry and success for low-income, at-risk youth. You can donate at any time of day on May 3rd, however donating at the times listed below will help us to win larger cash prizes! We are hoping to confirm 100 donors willing to donate $20 for each of these time slots. Prizes are awarded to the agency with the largest number of people donating during the hour slot not the largest amount of money. You are considered a new donor every hour. Click the donate button and enter your information. NOTE: Button won’t be active until May 3. If you can help us work towards our goal of 100 donors for each slot, please let us know the times you can commit to. Thank you for helping our students with your donation! Please support RISE on this National Day of Giving.